Federal Medical & Dental College is affiliated with Shaheed Zulfiqar Ali Bhutto Medical University. This is a very famous institute and every year thousand of candidates get admission here. If you are interested to get admission, then you should apply on time. Its entrance test has been conducted throughout the years by NTS. You can also get all other admission admission detail from here. However, according to the updated policy, ETC has to conduct it by 2017. 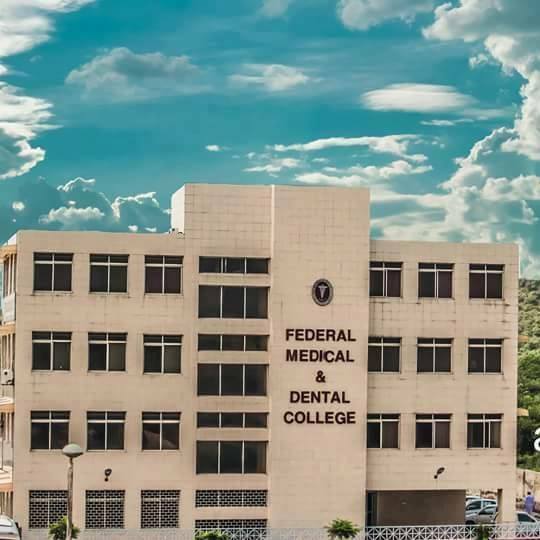 Federal Medical and Dental College Islamabad is one of the most reputable medical institutes in Pakistan. This Medical and Dental College is affiliated with Quaid-e-Azam University, Islamabad. The new campus of Federal Medical & Dental College (FM&DC) was established and inaugurated by the Prime Minister on 27th February, 2012. Pakistan Institute of Medical Sciences (PIMS) is the main affiliated hospital. Highly qualified teaching faculty is providing its services to the future doctors. It is recognized by Pakistan Medical and Dental Council (PM&DC). If you are interested to get admission here then you should apply on time. FMDC MBBS admission test shall be conducted by National Testing Service (NTS). This test is necessary to pass for getting admission here. The admission authority shall arranged the order of merit while allocating the following percentage. General Part: Verbal Section –Synonyms , Antonyms , English Correction , Reading Comprehension. Application form are available on NTS site & deposit test fee of Rs. 1200/- through the prescribed deposit slip at the online branches of ABL, UBL, HBL or MCB. Deposited amount is non-refundable / non-transferable. Candidates are required to send their applications on prescribed Application Form along with an online deposit slip (in original) at NTS Headquarters, Islamabad. Applications submitted by hand will not be entertained. Note : FMDC Entry Test Result 2019 announced after a week of test held. Preparing Subject Section : For subject part you are to revise your subject matter. Preparing General Section :For General section you have to memorize vocabulary for verbal section.